It's the most complete Solution on the market! 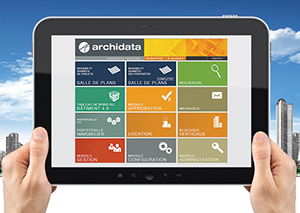 The Archidata Solution is a web-based platform for space and plan management for large real estate portfolios. The Building Information extracted from the plans is leveraged to update and generate space data in 2D and 3D. The unique database gathers all the building information in a single window, the Building Dashboard.